Have you heard about our new 5 day Expedition & Wilderness Medicine course held in Slovenia? For more on this exciting new course click THIS LINK to receive the latest information and early bird discount code. The Adventure Medic have recently published the ‘Practical Approach to Snowsports Injuries (Part II)’. The second in a series of articles by Dr Edi Albert, explores knee and shoulder injuries discussing how the approach of a ski doctor may differ from a hospital-based doctor or surgeon. 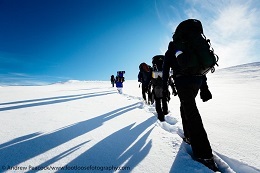 To learn more about Polar Medicine join Chris Imray, world renowned cold injuries expert and lead author of the recent Extreme, expedition and wilderness medicine article published by the Lancet.Alongside Chris we’re sending an expert faculty of seasoned polar medics and travellers teaching how to survive, provide medical care and function as part of a team in such a harsh environment. If camping out in snowholes and challenging your limits with cold water immersion excites you, snap up one of the last Polar Medicine places here! Part I of Dr Alberts’ series. EWM faculty member Dr Alex Kumar and Extreme Medicine speaker Dr Mike Barratt talk to CNN about the effect of extreme isolation on the human body. 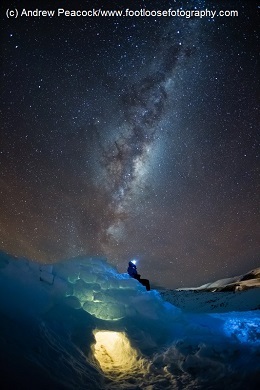 Alex Kumar recalls his time with the European Space Agency discussing the physiological changes which occurred while facing extreme isolation in the world’s most hostile, monotonous and challenging environments, Antarctica. While Mike Barratt backs up Alex’s comments adding his findings and experiences from NASA’s human research programme. Take a look at a workshop scenario in action and let Advance Paramedic, Eoin Walker explain what going on. Held in a London Ambulance Service training facility, we have access to the best equipment, emergency vehicles and training spaces offering realistic scenarios to mimic the pressures of pre-hospital care. 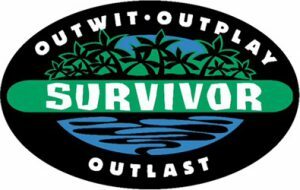 The rules of Survivor are simple: A group of people are abandoned in the middle of some of the most unforgiving places on earth. Divided into teams, they participate in challenges and every three days, the losing tribe must trek to Tribal Council to vote out one of their own. Halfway through the game, the challenges shift to individual competitions when the tribes merge into one with ultimately, one winning Sole Survivor. Kicking off the year with a big announcement! We’re super excited to bring you the first major announcement of the year – keep reading to find out the latest developments at EWM. 2016 is shaping up to be a great year and while we can’t give away too much just now, there are more big announcements on the way. We’ve previously shared blogs discussing the issue of PTSD in Paramedics / EMTs in the hope that discussion can improve awareness and lead to greater support. Earlier this week we shared an article from the Guardian recounting one doctor’s experience with depression and feelings of suicide. The reaction to this issue has been huge and we’ve since been approached by a number of people who have wanted to privately share their experiences with us. If anyone has a story to share, has written a blog or simply knows of great support services available, please get in touch and we’d be delighted to use our many platforms to spread awareness to bring about better care for those who dedicate their lives to helping others. We know from experience that sometimes our emails don’t reach you and end up in junk mailboxes, to solve this problem simply save ‘admin@expedition-medicine.com’ to your email address book. If you’re booked on to a course or have sent in an enquiry and don’t seem to have heard from us, please drop us an email or give us a ring…we’re always keen to hear from you! 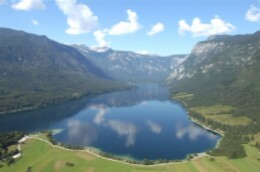 We’re taking our ever-popular UK based Expedition & Wilderness Medicine to the stunning Lake Bohinj, Slovenia, we can’t wait to get stuck in! We’ll hold the course over five days and plan to take the challenge and excitement to the next level including, a night under the stars, more outdoor skills sessions and some surprise challenges. Our ever popular workshops will be extended, allowing more in-depth learning with greater opportunity for Q&A sessions. Mornings are dedicated to stimulating lectures exploring many areas of expedition medicine, equipping you with the knowledge you need to tackle remote and austere environments with confidence. For more information on this fantastic new course, get in touch with us HERE. Our Pre-hospital Trauma Care workshop in London kicks off the year with two days of hands-on learning in London’s premier pre-hospital training facility. With a heavy focus on Crew Resource Management, you’ll come away a new understanding of how to best manage teams in extremely stressful environments when the chips are down. 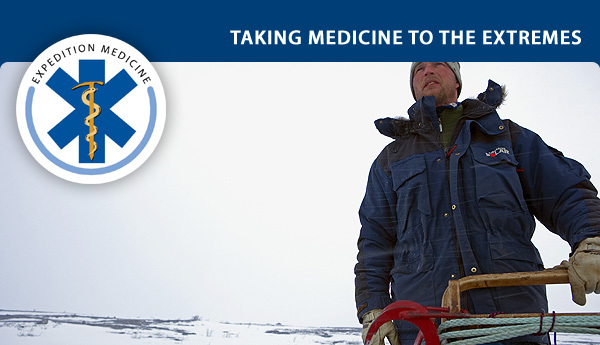 Polar Medicine returns to Norway with a specialist faculty including one of the world’s leading experts in frostbite management, Professor Chris Imray. This highly practical course will challenge and excite you everyday leaving you better equipped to face the challenges of cold weather environments. 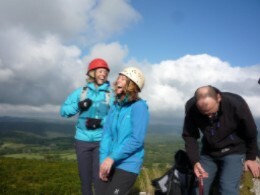 Keswick is the next location for our UK based EWM course and we can’t wait to get there. If you’re looking to put the fun back in to medicine, then look no further! A world first. Internationals Postgraduate Medical Degree offered in collaboration with Extreme Medicine and the University of Exeter, a World Top 100 University. A world first. 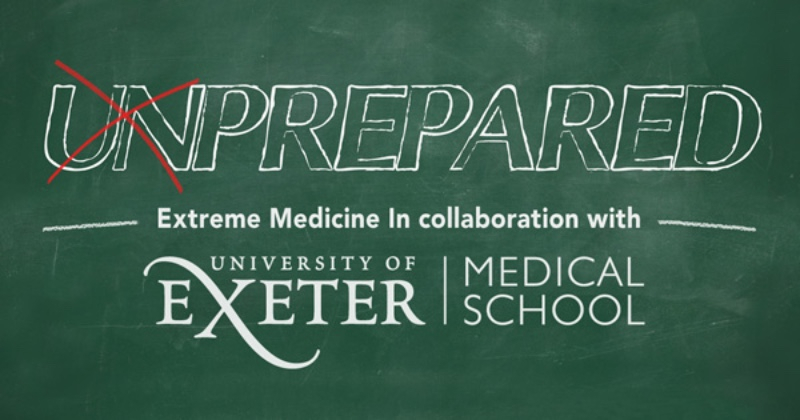 The Extreme Medicine International Medical Degree programme offered in collaboration with Extreme Medicine and the University of Exeter, a World Top 100 University. We are extremely proud to be working with The University of Exeter, a world top 100 university, to deliver a credible and academically sound International postgraduate medical degree program in Extreme Medicine. Patrons. Sir Ranulph Fiennes, Dr David Nott. The first intake of students is scheduled for September 2016, to mirror the academic year. Clinical governance and demonstration of core skills and competencies are core values of modern medicine and we have developed our Extreme Medicine Diploma & Masters Programme to fit with this. 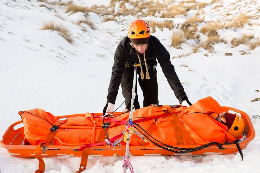 There is an expected consensus paper from the Royal College of Surgeons Edinburgh, and the Faculty of Prehospital Care, detailing expected competencies for providing travel and expedition medicine. The Masters Programme is designed around this curriculum for the first sixty credits and will give you a high-quality postgraduate medical diploma and MSc qualification. 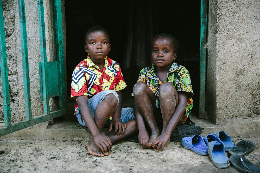 Recent Lancet articles have highlighted to growing interest in Extreme Medicine. ‘I am delighted that these two papers are now in press. I think they reflect many of the sentiments and thrust of the hugely successful Extreme Medicine Conferences.’ Professor Chris Imray. So what does the Post Graduate Medical Diploma/ Masters Programme in Extreme Medicine involve? A Post Graduate Masters programme is made up of 180 credits earned over three years. This is divided into individual years of 60 credits each. Each credit in any reputable university-based Masters Programme is equivalent to 10 hours of learning time. These hours include all reading, written work and practical work. Let’s break this down more into the individual years. Year 1 – Post Graduate Certificate in Extreme Medicine This gives the first 60 credits and on finishing this you will be awarded The Post Graduate Certificate in Extreme Medicine (PgCert Extreme Medicine). You will have an in-depth knowledge of expedition medicine and how to reflect on your own work and also critically appraise that of others. This is the qualification that will demonstrate a sound knowledge of Expedition Medicine, and as regulation tightens, you will be able to use this to prove the required level of knowledge and skill. Some people will choose to stop at this point however, we anticipate most students will want to progress to the Diploma and MSc levels. This will be a key weekend to set the scene and define the learning skills needed, the work to be covered in the year and the structure of the course. This will either be based in the University of Exeter or form a preface to the Expedition and Wilderness Medicine course below; a detail to be confirmed. This module will provide half the credits for the PgCert and forms the bulk of the knowledge base. 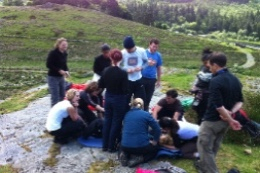 Students will attend a UK based Expedition and Wilderness Medicine Course at a venue of their choice. The venues are the Lake District, Snowdonia and Dartmoor; all stunning locations. This course will be lecture and practical based and will give the basic overview needed. You will then be able to use this framework to undertake self-directed learning to expand your knowledge and learn to critically think about expedition planning and logistics. The key ethos behind Masters level learning is to be able to interpret information, critically appraise it then make informed and reasoned arguments in presented work. You will be able to demonstrate this approach in the 5000-word project where you will be given a choice of hypothetical scenarios to plan for. Successful completion of this project will award 30 credits. This will need to be an in-depth piece of work that shows a high level of thinking and planning and should go beyond just the medicine. The leading cause of injury and death overseas is trauma, in particular, road traffic collisions. Trauma care at the roadside is a vital skill to have and this will be taught on the established four-day Trauma Course. This trauma course is also accredited by the Royal College of Surgeons of Edinburgh. The course will cover all the important skills for trauma management at the roadside. As part of this, you will be given a short evidence research project to undertake on one aspect of trauma care that would be relevant to being an overseas medic. This module has been designed to provide challenge in a supportive and formative team environment. This will be a weekend on Dartmoor and will be a rolling set of overlapping challenges designed to test the application of knowledge, lateral thinking and resourcefulness. It will run from Saturday morning to Sunday afternoon including an overnight on the moor. Expect the unexpected. Following this, there will be debriefing and then a short written piece. There is no pass or fail on this, however, the value will come from personal insights and reflection on these and how to apply your learning to self-development. Using the skills you have developed in year one, you will be able to choose elective modules to learn about specific areas of Expedition Medicine in more depth. Prime examples would be High Altitude Medicine, Polar Medicine, Dive Medicine, Tropical Medicine, Medicine in Hot Environments, Leadership and Situational Awareness, Logistics, Disaster Relief, Global Health and Prehospital Trauma Care. Ideally, you would plan some form of practical experience in the fields you choose. Each module will be assessed on your learning log and a written piece of 5000 words for each module. On successful completion of this module, you will be awarded the International Diploma in Extreme Medicine from the University of Exeter and Extreme Medicine. This is a higher level postgraduate qualification and will allow you to demonstrate in-depth knowledge in your chosen fields. This is the final year and will be 60 credits based on a relevant research project, a significant overseas project or challenge. 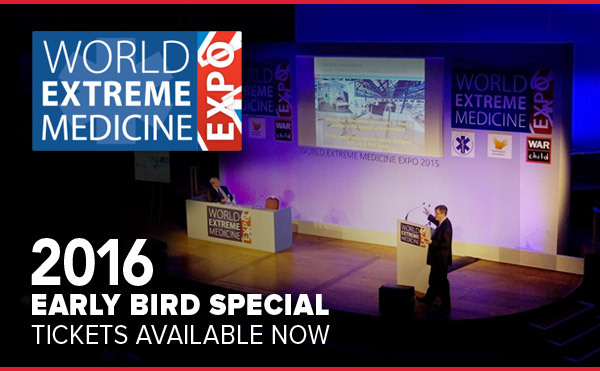 You will be given the opportunity to present your project at the annual highly acclaimed Extreme Medicine Conference. The international postgraduate Diploma & Masters Programme in Extreme Medicine is delivered by Extreme Medicine and The University of Exeter Medical School in partnership. Participants will be students of Exeter University and will have access to the facilities and resources. The programme is designed for people who work busy jobs and a good proportion of the work can be completed in your own time at home. Find out about this medical diploma program. There will be tutor support by email and also bi-monthly reviews of progress and learning logs. Mark Hannaford FRGS FRSA, Managing Director, Expedition & Wilderness Medicine. 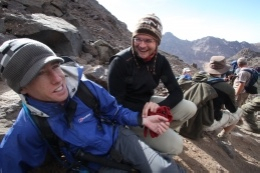 Dr Alex Rowe, Medical Director, Expedition & Wilderness Medicine. Copyright © 2016 Expedition & Wilderness Medicine, All rights reserved.